Baltimore, Md. 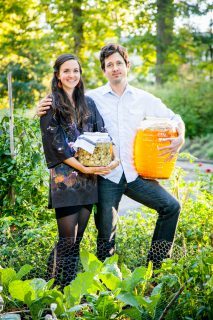 — HEX Ferments, a Baltimore-based producer of wholesome and healthy sauerkrauts, kimchi, seasonal ferments and kombucha teas, announced today it has become a Certified B Corporation. This third-party certification is awarded to companies that meet rigorous standards of social, environmental and economic performance, accountability and transparency by B Lab, the non-profit that certifies and supports B Corps. B Corp is a certification for an entire company. Fair Trade and USDA Organic are certifications for specific products. To become a Certified B Corporation, a company must score a minimum of 80 points out of 200 on the B Impact Assessment. HEX Ferments achieved a score of 109 points. HEX Ferments joins over 2,300 Certified B Corps in 50 countries and 130 industries including nine others based in the State of Maryland.